Furniture storage Enfield Wash, all too often our homes become over-full with furniture we want to keep, but don’t have room to store at home. Furniture storage Enfield Wash with Security Self Storage will help you have a tidier; more organized home and may also help encourage potential buyers if you are considering selling your property. It makes perfect sense at times like these to look at Security Self Storage near Enfield Wash as an affordable and secure way of storing your furniture. FURNITURE STORAGE ENFIELD WASH – What can be stored? Furniture storage Enfield Wash, you can store a great number of different types of furniture with Security Self Storage, depending on the size of storage unit you decide to use for. You can store smaller items like chairs, tables, fridges or washing machines, or larger items such as wardrobes, dressers and beds. It is essential when you pack your furniture that it doesn’t get damaged and is easy to access. When planning furniture storage Enfield Wash, you may be storing your furniture and possessions for a few months or a few years, either way you will want to make sure that they remain in good condition. Here are a few tips, which may help you. 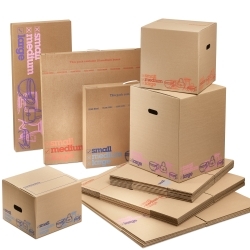 Make a list of what you will be storing, as this will help you know how much packing material will be needed. Clean your furniture prior to packing; dust and polish or wipe clean everything you plan to store. Take care when leaning or stacking furniture on top of each other and use packing material to wrap around any sharp edges to prevent damage. Take apart anything purchased as a flat pack item of furniture. For example, remove legs from sofas and tables. Make sure you carefully pack screws and smaller items into clear plastic bags along with the instruction manual. Tape the bags to the corresponding furniture and label with the contents. Cover mirrors or glass table tops with thick packing paper and wrap in blankets or place in telescoping cardboard boxes. Wrap sofas, chairs and mattresses in plastic protective covers to protect furniture against rips and tears, moisture and any knocks when moving. Self storage space requirements do vary from user to user. 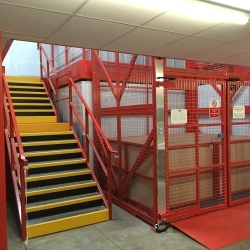 Security Self Storage Waltham Cross has what you need for however long you need it. You will find the right size self storage space at a great price at Security Self Storage Waltham Cross. 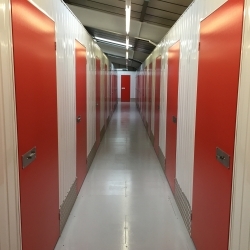 Located in Waltham Cross close to J25 of the M25 and the A10, Security Self Storage offers an easy access, self storage facility with clean, safe and secure storage rooms for your personal or business use. Our customer loading bay is under cover to keep you dry and warm in wet and windy weather. Unlimited access means you can come and go as often as you please during store opening hours. Access at other times can be arranged with the self store team. If your plans change, you can move to another available unit any time. With rooms sizes from 16 square feet to 250 square feet, our friendly team are always on hand to help you. We can even partition rooms to suit. Security Self Storage is part of White & Company Plc. With over 145 years experience in the storage and removals business, we pride ourselves in providing excellent customer service at very competitive prices. If you have not used self store space before why not arrange to visit our facility and speak to our helpful self store team, who will be happy to answer your questions. When it comes to self storage, Security Self Storage Ltd should be your first choice. To arrange a visit or book self storage space call 01992 877540. When the time comes to make that house move it goes without saying that your belongings are precious and should be handled and moved with care throughout the entire moving process. You will want to know that your worldly possessions will be treated with respect from the moment the movers arrive until the last item is placed into your new home or into a secure storage unit. White and Company have been providing a removals service for over 140 years and are founder members of the British Association of Removers, FIDI & OMNI. White & Company also provide specialist removal services to locations around the UK, Jersey and Guernsey, Europe and International destinations. We work tirelessly to provide the best possible service and peace of mind for those looking to move home. Use our Quick Quote Form and we will contact you.